Chapel Forge Farriers Ltd is based in the centre of the thriving horse racing community of Lambourn. Our farriers travel a wide distance on a day to day basis and our specialists fly all over Europe and the Middle East to work with high profile clients on their problem horses and liaise with equine staff locally to improve the horses' welfare, shoeing, and nutrition. 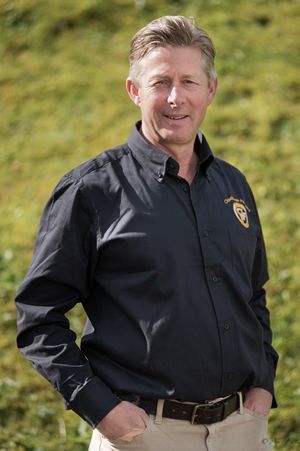 Our founder Gary Pickford has been in practice for 35 years, and has worked and trained all over the world, including with the world renowned equine hoof podiatry expert Ric Redden in Kentucky.Gary currently specialises in working on young horses with limb and hoof deformities. He has attended many conferences and symposiums including demonstrating at the world famous "Bluegrass Symposium" in Kentucky. Gary has also had many features published on his work and expertise in national media such as the Racing Post, Country Life, The Field, Radio 4 and 2016 BBC2 documentary ‘The River’ shot at Floors Castle Stud. Chapel Forge experts work flexibly in the racing world, for stud farms and for private clients, with either hot or cold shoeing. We have worked with Olympic Teams, Badminton winners, and of course countless winners of prestigious races such as the Grand National, the Cheltenham Gold Cup, The Derby, the US Breeders Cup and the Prix De L’Arc De Triomphe. We currently have 25 staff with some senior staff serving up to 25 years with us, and a training scheme for apprentices. Our clients include; the Lloyd Webber's Watership Down Stud, Nicky Henderson, Warren Greatrex, Roger Charlton, Clive Cox and Kirtlington Stud.